One week: Alton Sterling, Philando Castile, Dallas. Finally, the number of White people moved to action against racism is reaching a tipping point, yet tired clichés like “violence isn’t the answer” and “we must unite” threaten to keep us stuck. “All lives matter” is perhaps the kindest and least helpful of these clichés, to the point of being dangerous. Here are six reasons why, followed by three concrete actions that are helpful. All Lives Matter focuses on what should be. Black Lives Matter focuses on what is. Everyone (with 892 exceptions) wants racism to be over. The belief that Black people are being divisive or complaining unjustifiably about racism and violence is bigoted, because it assumes Black folks are either lazy with nothing better to do than whine, or incapable of living their lives without a handout. Black Lives Matter isn’t divisive, it’s responding to and calling out divisions that were already there. Black Lives Matter isn’t taking us back to the 1960’s, it’s calling out the fact that in many ways Black life is worse than it was in the 1960’s. These divisions and problems may be new to White people, but that doesn’t make them new. Just as women are more qualified than men to identify sexism and LGBT people are more qualified than straight people to identify homophobia, people of color are the best qualified to identify racism – not White people. Our job is to listen to the feedback, take it seriously, and act. All Lives Matter assumes everyone is treated fairly and has the same opportunities for success in life. Black Lives Matter recognizes that this is not true. Black Lives Matter could be called “Black Lives Matter…Too, Like Everyone Else’s.” We do not treat all lives the same. Compare how dead soldiers and murdered police are mourned and celebrated compared to murdered African Americans. Compare how Dylan Roof (the Charleston terrorist for whom police bought Burger King after his arrest) and James Holmes (the Aurora mass murderer) were treated compared to Alton Sterling, Philando Castile, Sandra Bland, Mike Brown, Freddie Gray, Eric Garner, Trayvon Martin, Tamir Rice and Walter Scott. None of them killed anyone; some committed no crime at all. All Lives Matter focuses on equality and intentions. Black Lives Matter focuses on equity and actual impact. These are two subtle but profoundly different approaches to fairness. Equality is centered on one’s own good intentions and treating everyone the same. Equity is centered on the impact of one’s actions on others, regardless of good intentions. An equality orientation is kind and good-hearted but inadequate because we live in a complex, diverse society where people – while deeply similar in many ways – have vastly different histories, experiences, beliefs, and needs. Also, people don’t actually treat each other the same even when we try to. Abundant research shows that human beings carry unconscious biases that affect our behaviors despite our good intentions and noble values – unless we take concrete actions to counteract them. If good intentions and focusing on people’s similarities were enough to end racism, it would have already ended. Black Lives Matter was created in response to anti-Black racism and violence, and lack of accountability for that violence. All Lives Matter was created in response to Black Lives Matter – by White supremacists. This is likely why Trump supporters have beaten African Americans at rallies while ironically shouting “all lives matter!” “All lives matter” is code for “White lives matter,” and both are messages that have enjoyed centuries of constant proclamation and reinforcement. The same cannot be said for Black lives. No one in the movement is saying only Black lives matter, or that Black lives matter more than White or blue lives, or that White or blue deaths should be sought or celebrated. 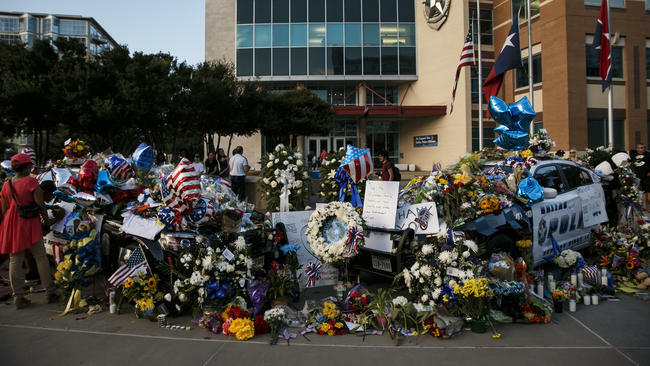 There is no shortage of mourning and accountability for the loss of White and blue lives (which, incidentally, have been declining for 35 years). The same cannot be said for Black lives. There is no shortage of mechanisms to hold individuals accountable for committing crimes (especially when they’re Black or brown). The problem Black Lives Matter aims to address is institutional racism in policing and state violence – committed by taxpayer-funded institutions, not individual citizens – for which there is little to no accountability. All Lives Matter denies there is a problem by treating African American grievances and deaths at the hands of police as deserved consequences, anomalies, trivialities or lies. Black Lives Matter takes action in the face of Whites’ silence, complacency and dismissiveness. As Tyler Huckabee wrote, “all lives matter” is “an attempt to erase an actual crisis under the guise of being fair.” This clever video illustrates how dismissive and ludicrous this is. It’s deeply insulting and a benefit of White privilege to ignore or explain away what the Black community has been saying for years, as if Black folks have nothing better to do than complain or protest. All Lives Matter provides neither effective solutions nor actions to take. Black Lives Matter offers solutions and actions that benefit all Americans committed to democracy, integrity and fairness. Join Campaign Zero’s efforts to end police violence. Advocate for unconscious bias training and leadership development in your workplace to ensure equity in hiring, promotion and creating an excellent workplace where everyone can contribute their unique brilliance. For more resources, including for parents, download Resources for Active Anti-Racists. Then act, because lives depend on it.